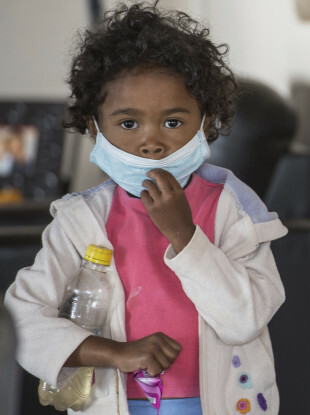 AN OUTBREAK OF highly contagious plague has claimed 30 lives in the impoverished Indian Ocean island nation of Madagascar over the last two months. “We have recorded 194 suspected cases of plague, including 30 deaths,” health official Manitra Rakotoarivony said in a statement, updating the death toll from 25. The current outbreak is unusual as it has affected urban areas, increasing the risk of transmission, said the World Health Organisation. The government has banned public gatherings in the capital Antananarivo in a bid to slow the disease’s spread. The outbreak has caused widespread panic, with long queues forming outside pharmacies to buy masks. It is as if the plague is the end of the world… but it is a disease like any other. The outbreak combines bubonic plague, which is spread by infected rats via flea bites, and pneumonic plague, spread from person to person. Pneumonic plague can kill quickly, within 18-24 hours of infection if left untreated, but it can be cured by early use of antibiotics. Email “Highly contagious plague kills 30 people in Madagascar ”. Feedback on “Highly contagious plague kills 30 people in Madagascar ”.